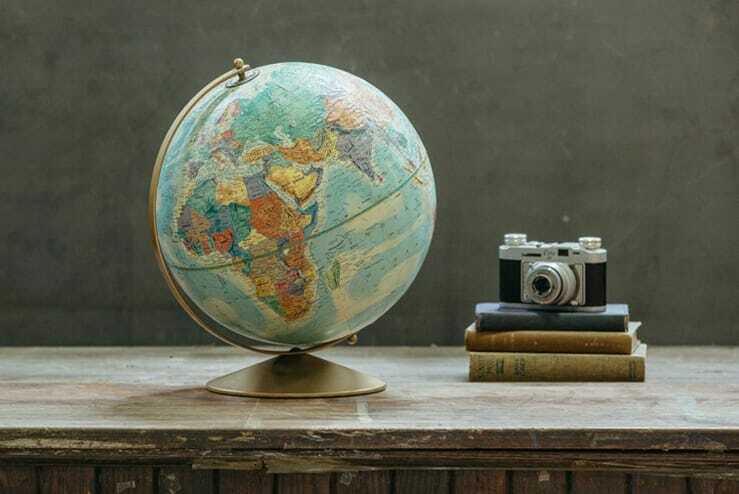 Brush up on geography or plot out your next vacation with this vintage raised relief globe. Manufactured by Replogle Globes, a company that got its start in Chicago during the 1930s and is still crafting painstakingly accurate globes to this day. Metal semi meridian and base. Made in the USA. See more of our schoolhouse relics here.